I am a writer 3 years of experience working as a Content Writer and i also help people build a voice for their own businesses or project. My expertise includes Article Writing that is informative, valuable, conversational and optimized for all search engines. So, for your needs, I will write an article of 1000 words. 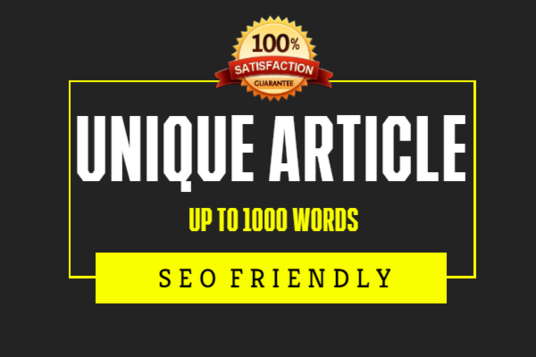 1000 Words Of SEO Article is ranked 5 out of 5. Based on 2 user reviews.